Some of these fakes are beyond comical, and laughable. Hungarian SS? Interesting, Did they even exist? Yes, but they were conventional German issue kit. IMO most of these helmets are not ruined and not fake helmets only restored shells of different quality. I'm quite sure that the high percentage of these have never been offered for sale as an original helmet. Some might be fair as a reenactor's helmet but all of these are well under the standard to fool anybody. By the way judging german helmets were not so simple in the past like it looks like today. Now we have the internet, we have books and high quality literature though there are fakes even in textbooks too. There's a whale of difference between a fake helmet and a restored helmet! 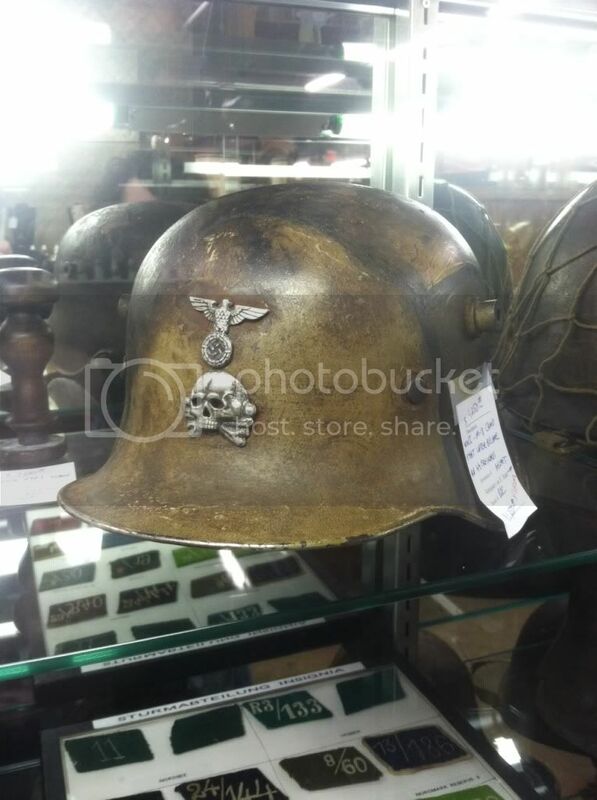 This helmet was sold in Hungary on an auction site as a restored helmet (for 160$) made by a hungarian guy. I wouldn't call it a fake it's simply a restored helmet as it always was. One-looker reproduction which looks ok. French decal. czech liner and strap, orig liner band and ww2 shell with paint which is far from original. Reproduction display helmet not more and not less. If we talk about real fakes ( intended to fool buyers) just check out ebay or ioffer or most of the dealer sites which list camo helmets ! Sometimes there are dangerous ones. Or thumb up the Radovic series.. I bought this helmet from Romania, for 120 euros, I knew that is brought from another country and is a reproduction!